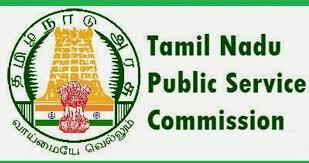 About TNPSC: TNPSC exam is appointed to conduct the state's public service exam for recruit candidates at Entry-level Appointments to various posts in Tamil Nadu state public service and conducted by Tamil Nadu Public Service Commission. TNPSC headquartered located at TNPSC Road, V.O.C. Nagar, Park Town, Chennai, Tamil Nadu. Examination Level: TNPSC 2019 exam is State Level. Scope: Tamil Nadu Public Service Commission conducts TNPSC recruitment exam for enrollment to the posts of Civil Judge Assistant in Various Departments in the TN Ministerial Service. Notifications: Candidates need to visit the TNPSC official websites for check the TNPSC #ynotification.on. Date of Examination: The TNPSC 2019 exam for Agricultural Officer is tentative on 14th July 2019 and prelims exam will be conducted on 9th June 2019. Read more about TNPSC 2019 important Dates. Job Posts: TNPSC 2019 exam is conducted for recruitment of candidates for the posts of Agricultural Officer, Civil Judge and Assistant in Various Departments in the TN Ministerial Service. Vacancies: In TNPSC 2019 the total number of vacancy for Agricultural officer post is expected to be 190 and for other posts, it will be above 300. Educational Qualification: Candidates must be aware of Tamil language and must have a graduate degree in respective trade. Age Limit: TNPSC age limit varies for each post. Read more about TNPSC 2019 Eligibility. Mains - Tamil Translation, Civil and Criminal Procedure, Framing of Issues and Charges. Read more about TNPSC 2019 Syllabus. Structure: TNPSC 2019 Exam is conducted online mode. For the post of the Agricultural officer, there will have 3 sections and for the Civil Judge post, there will be Prelim and main exam. Post-exam: Candidates who have qualified all the exam will be a call for the interview process. Read the detailed TNPSC 2019 Exam Pattern. Mode: TNPSC 2019 online application form is available on the official website. TNPSC Application Fee can be paid through both online and offline modes. Application FEE: TNPSC application fee for Agricultural Officer post is INR 200 and INR 100 for Civil Judge post. Read more about TNPSC 2019 Application Process. Availability: TNPSC 2019 Admit card is available on the official website once it is released by the conducting authority. Download: To download CTET 2019 Admit card candidates have to give their application number, date of birth as a password and security pin. Read more about TNPSC 2019 Admit Card. Official website: TNPSC 2019 results will be updated on the official website once it is declared by the conducting authority. Date: After 1 month from the day of examination TNPSC recruitment exam 2019 Results (prelims) will be announced. Read more about TNPSC 2019 Results.